Find out what you'll need to turn on ray tracing. The full Battlefield 5 system requirements have been posted on Reddit by Dice's official account. It looks like we'll need extra RAM in addition to an RTX card to take advantage of DirectX ray tracing (DXR). Check out our ray tracing explainer to find out what that really means for the game. 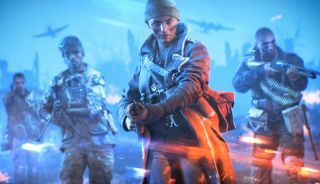 Battlefield 5 is due out on November 20, so there's still time to upgrade if you really want those reflections to look their best.